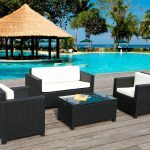 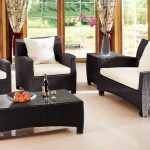 Add a touch of contemporary style to your garden with this stunning Minh Thy Furniture Rattan 6 Armchair 150cm Rectangular Garden Furniture Set that makes an attractive and stylish addition to your garden furniture. 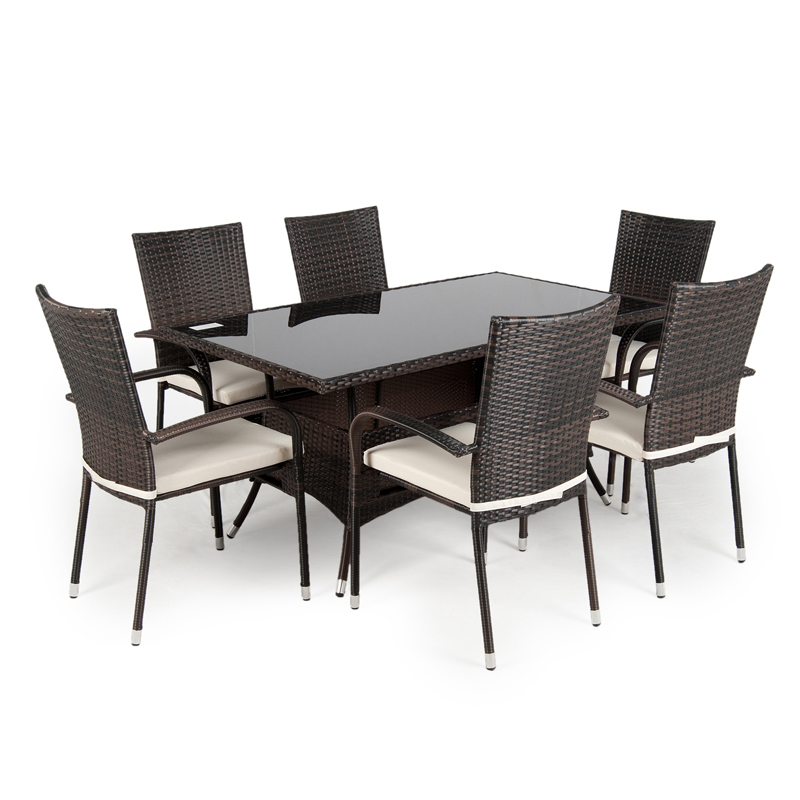 It is a great size for outdoor entertaining or dining with friends and family on warm summer days. 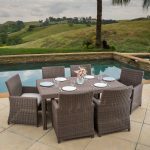 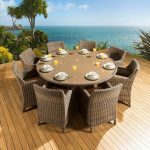 The table features an 8mm tempered glass top and is made from polyrattan, which is a manmade fibre woven into a rattan style, with powder coated steel frames, making it durable and sturdy. 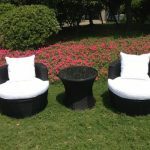 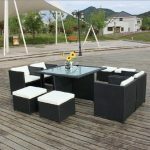 The matching, stackable chairs are also made from polyrattan and are both stylish and comfortable. 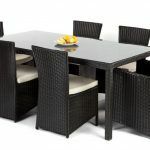 They also come with polyester cushions which are easy to wipe clean and quick drying should any summer showers strike. 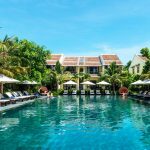 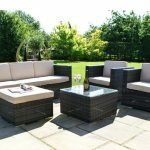 Rattan is frost, water and UV resistant so you can leave it out in all weathers, as well as maintenance free – simply clean with a damp cloth. 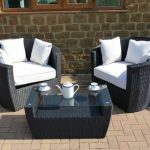 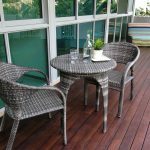 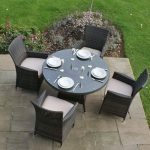 This is a fabulous garden furniture set that comes in a black and brown colour mix that is lightweight and well worth the investment for its durability alone.